If you are hoping to be in Anchorage this winter, or are planning a winter trip to the Last Frontier, Aptel Studio Hotel can guarantee a comfortable, fun and reliable stay. With our extended stay options, free Wi-Fi, kitchenettes and affordable rooms, we can accommodate any family and their needs. Aptel is also a pet-friendly hotel, so don’t worry about leaving your furry friend behind. With so much to do in Anchorage during the winter, choosing the right activity can be tough. We have put together a list of travel tips to help you plan for your trip to Anchorage. Outdoor activities: Alaska is known for its winter sports and outdoor activities. Whether you are a sports enthusiast or not, you can find something that will interest you. From dog sledding to ice fishing, fat tire biking and ice skating, the options are endless. Northern lights: This beautiful phenomenon can be viewed during the winter, spring and fall. If you plan on visiting Anchorage during these seasons, chances are you have thought about chasing the northern lights. You can definitely view it from the city, but for a premium viewing you can check out some other spots. Culture: Alaska has a rich history, and Anchorage is home to several museums and historical landmarks. The Alaska Museum Of Science & Nature will allow you to explore Alaska’s geological and ecological history, as well as take a deeper look at the distinct Alaska Native cultures around the state. Wildlife: Anchorage is a great place for city and nature lovers. Even though you are in the biggest city in Alaska, you can still catch a glimpse of wildlife in their natural habitat. There are several tours that can take you on such adventures. If exploring in the wild is not your thing, check out the Alaska Zoo for up close and personal encounters with your favorite Arctic and sub-Arctic animals. 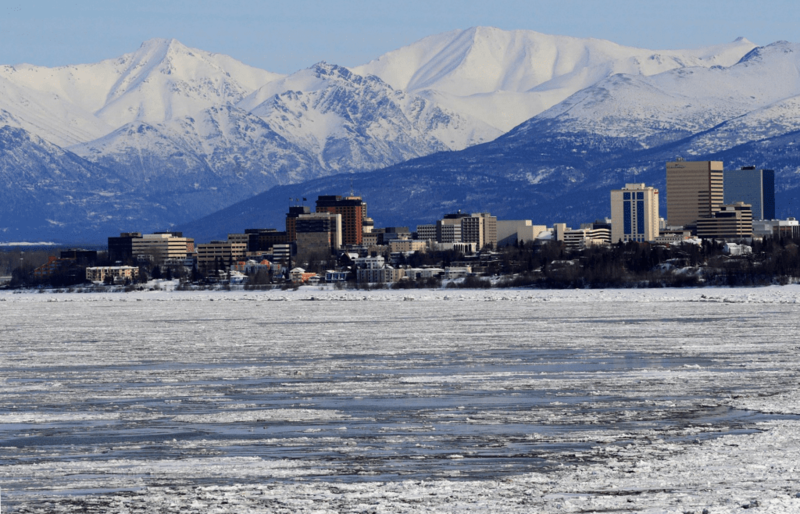 Tours: Anchorage is located close to some amazing towns. The Alaska Railroad can take you to Talkeetna to learn pie baking from the famed Talkeetna Roadhouse or dog sledding with an Iditarod champion. Anchorage is also just a short drive north of Girdwood and Alyeska Resort where visitors can take part in world-class skiing. Spend the day on the slopes and return to Anchorage for a cozy stay at Aptel. Anchorage is also know for it breweries and delicious varieties. Aptel Studio Hotel is located close to several breweries in town – so don’t forget to add that to the list! If you are interested in learning more about these activities, the Aptel team is here to help. Everything one could need is conveniently located within a few miles of the hotel, with downtown Anchorage being minutes away. Our map is designed to let you easily navigate the city and locate attractions.